Seafood Tortellini Salad | Let's Eat! This is my wife’s recipe and it’s become a go to salad in our house because it only takes minutes to make and it goes with so many different things! This can be a meal on its own or it can be served with a variety of seafood, chicken or beef dishes. It’s so versatile that it can round out an elegant meal or be served with hamburgers and hot dogs! This salad is so simple but it’s delicious and always a hit! Enjoy! 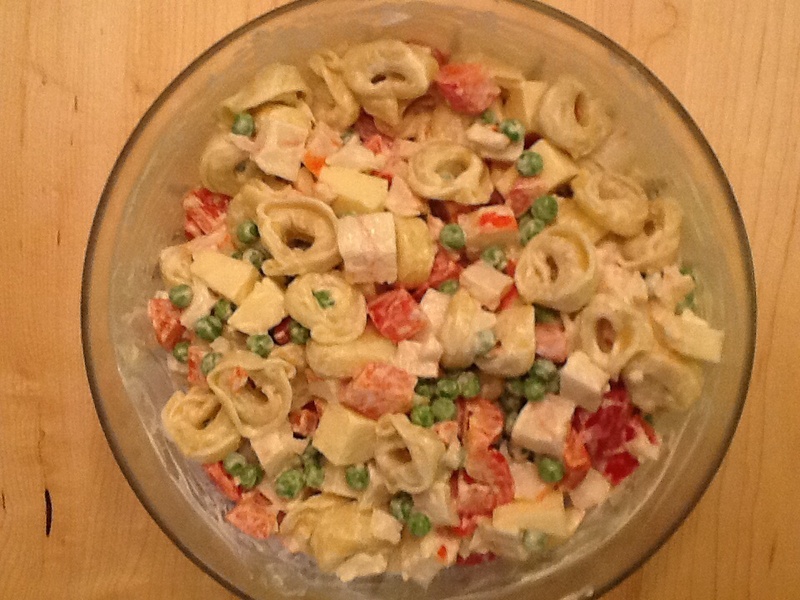 This entry was posted in Recipes and tagged seafood salad, Tortellini salad, tortellini seafood salad. Bookmark the permalink. Sundaywithachanceofmeatballs.com has a new look! Check us out!